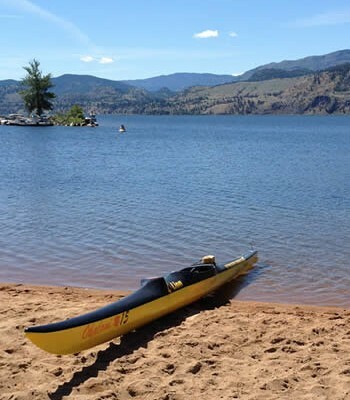 Accidental, or at least incidental good is being committed by the Okanagan Basin Water Board. I don’t mean to belittle the grant program the valley-wide water board decided to implement a couple of years ago, but I don’t believe that group of politicians realized at the time how much good it might do. The intent was to broaden the ownership in the OBWB, to educate people about the work it does and the fact it exists and to get them to buy into the concept of a valley-wide coordinating body for our water resource. 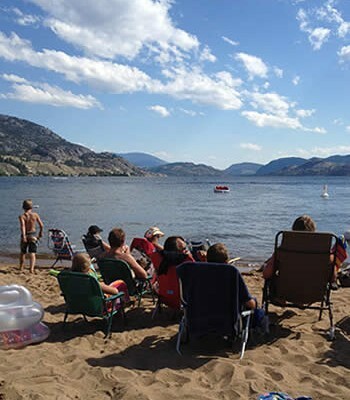 It would be different if each government in the valley had a separate source of water, like wells, but the fact is, from Vernon to Osoyoos, we all use the same body of water. 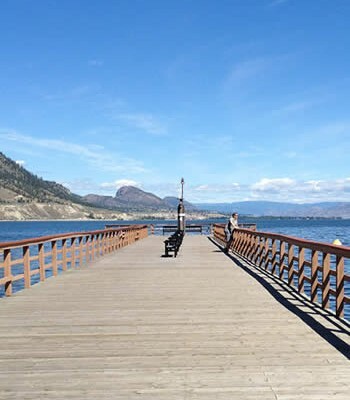 And, it all flows down from the hills surrounding the valley into Okanagan Lake and down the valley, through Skaha, Vaseux and Osoyoos Lakes and on into the U.S. 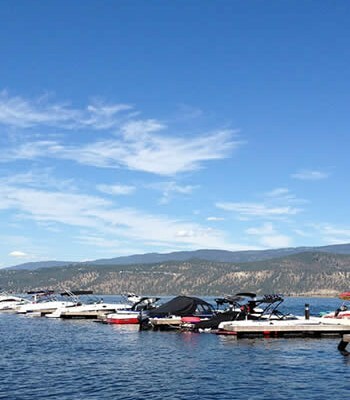 When the board, which is made up of politicians from each of the three regional districts that make up the Okanagan basin, discussed a new levy in the spring of 2005, it was partly to raise funds for administering a new stewardship council. The levy of two cents more per $1,000 of assessed property value on all taxpayers in the valley was envisioned to raise $425,000 a year for the next five years, but I suspect it’s now more than that. Of that, $300,000 goes into a grant program for projects endorsed by local authorities which would demonstrate water savings or improvements to water quality and which have financial support locally as well. At the time, board members felt it important that local government be able to literally “see” the good works the additional levy was bringing back to their communities. 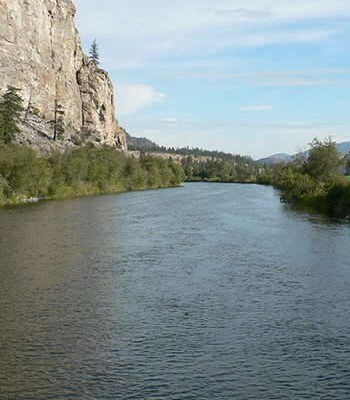 But, in fact, the little grant program that was spawned as a secondary benefit of the larger project—launch of the new Okanagan Water Stewardship Council – has proven to be pretty darn successful in its own right. For instance, out on Joe Rich Creek a few days ago, a motley group gathered for a tour of a project that was the result of several years of planning and watershed study, tremendous effort coordinating a number of groups, and then a couple of months of intensive work. With fences marching along both sides of the creek through the Weddell family hayfields and pastures, cattle will be hard-pressed to loll around in the creek on warm summer days, defecating and eroding the banks. 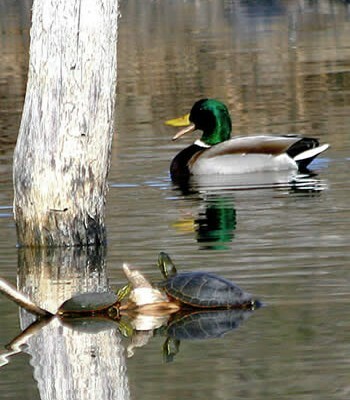 They will be limited in their ability to chew down riparian vegetation to the point that there’s no longer any bushes or grass to shade the water or stabilize the banks. 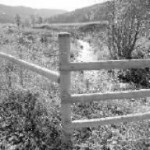 Instead the Joe Rich project provides carefully designed limited accesses to the creek for cattle to get a drink but without enough space to encourage them to stay and play. 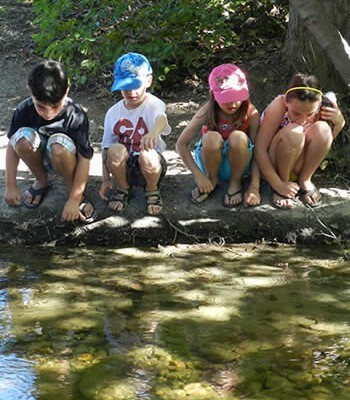 Downstream users such as rainbow trout and people; streamside creatures such as frogs and toads and shorebirds will all benefit from the project. 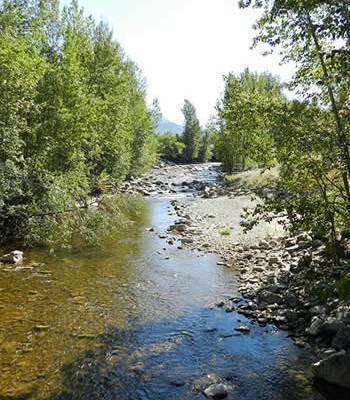 Joe Rich Creek is an important tributary to Mission Creek, which provides the largest inflow into Okanagan Lake, and all those downstream users will also benefit. Lots of streamside planting, rock riprap where banks were eroding and in-stream riffles were also done as part of the work, but the fence is expected to protect the riparian area and water quality. It took far more than the $15,000 in seed money provided from the OBWB grants program for this project to be completed. Not all provided funds, but groups involved include the Central Okanagan Regional District, City of Kelowna, B.C. Cattlemen’s Association, several provincial and a couple of federal government ministries, Black Mountain Irrigation District and Ducks Unlimited. It’s simply amazing what can be accomplished when a whole community works together to make something happen. And, isn’t it amazing what a little bit of “seed money” can accomplish? In the meantime, congratulations to everyone, including the Weddell family, who have sacrificed several hectares in order to make this happen and who will be expected to maintain it, since the property the project is on is still their land. © Copyright Black Press. All rights reserved.